Family owned since 1973 by Gary and Linda Miller, Miller Construction & Equipment has built a reputation as northern Michigan’s leader in general contracting and building design by providing personal service and delivering quality construction in a wide range of wood frame and steel frame projects, including municipal facilities, commercial and industrial buildings of all sizes, and complete dairy facilities. The team at Miller Construction & Equipment works directly with each customer from initial consultation through the project’s completion, striving for total customer satisfaction every time. We’ve been proud working partners with Lester Buildings since our inception over four decades ago and have partnered with Butler Buildings for over 30 years because these companies share our core values of integrity, quality, and personal service. 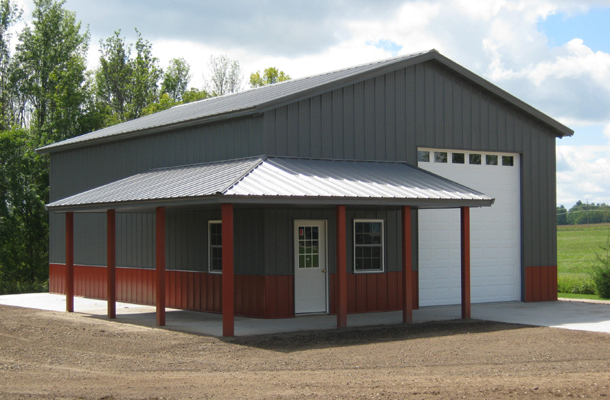 Miller Construction & Equipment provides more than just quality wood frame and steel frame building construction; we have also been northern Michigan’s leading dairy equipment provider for over 30 years. Featuring equipment from quality vendors such as GEA Farm Technologies, Lely, Jamesway Farm Equipment, Patz, J & D Sales Inc., and Seneca Dairy Systems, we can help you design and build a modern and efficient dairy facility.